I hope your week has gone week and that you're as ready for the weekend as I am! 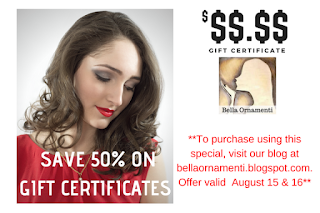 I'm so excited that our online benefit auction for the Be a #BellaOriginal Foundation Inc. starts tonight. Just about 12 hours until it opens. Feel free to head over and browse early. Let's raise a lot of money for our great organization to help stop bullying!